Donate today to make smiles happen. YOUR donation will help a child battling cancer receive their Little Wish. Zion was a junior in high school and a basketball star. After the season, he noticed a swelling on his ankle that would not go down. Soon after, Zion was diagnosed with Osteosarcoma. After weeks of chemotherapy, it was decided it was necessary to amputate his leg from the shin down. 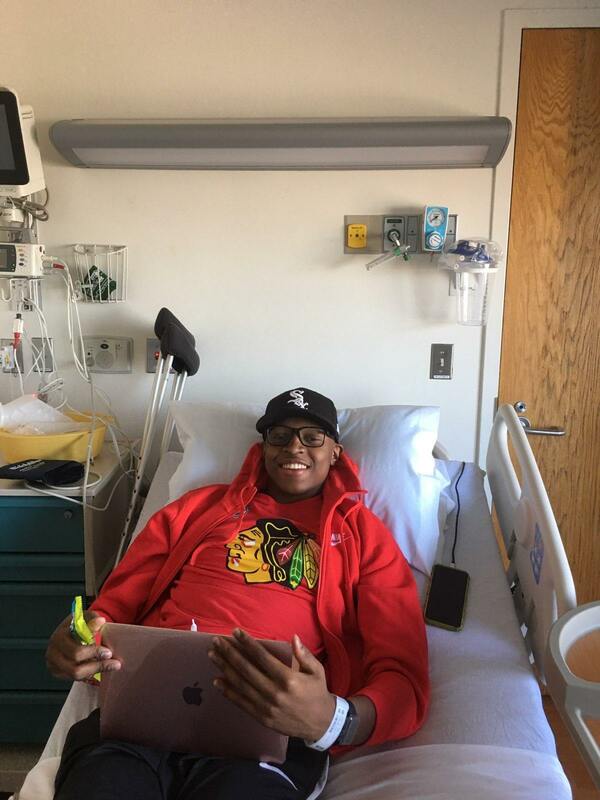 Recently, Zion finished his last round of chemo, and was declared cancer free. He is up and running with his prosthesis and we have no doubt that he will be back on the court very soon. His little wish was for a rose-gold MacBook. He is now a senior in high school and with his Macbook he has straight A's and is able to journal his journey. Help more children like Zion receive their little wish that provides comfort, hope and joy during their cancer treatment period. Keep up the great work and thank you for all you do.